Hike southbound along the Bartram Trail to the summit of Rabun Bald, Georgia's second highest mountain. 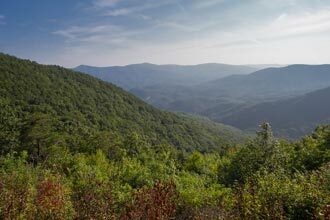 From the stone observation tower you'll be rewarded with 360-degree views of Georgia, South Carolina, and North Carolina. This route makes for an excellent alternative to the Beegum Gap route if you're looking for something a little longer. 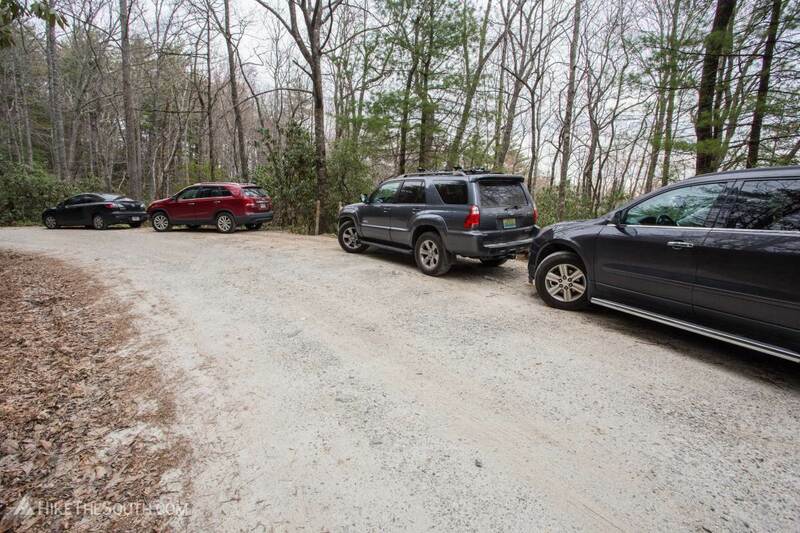 Parking is alongside the gravel Hale Ridge Road. There's not a lot of space, so make sure you're not blocking the road. 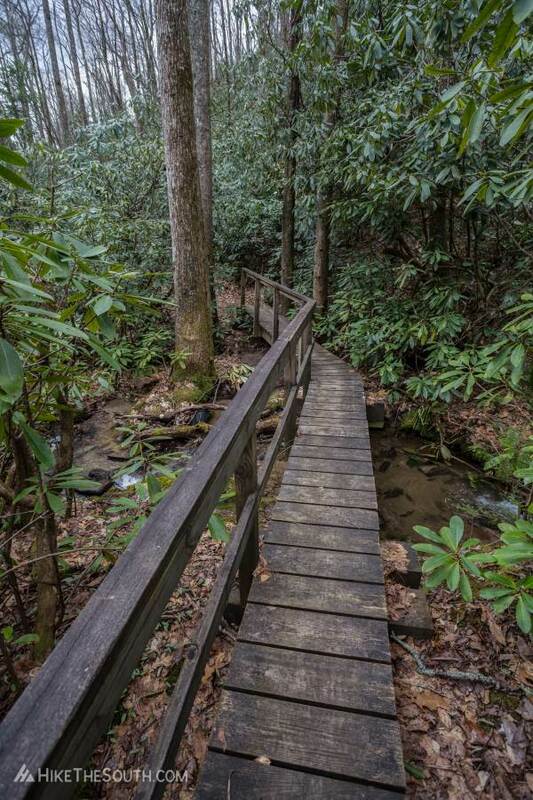 Heading south along the Bartram Trail, cross over several creeks, most by way of wooden bridges. Pass a small waterfall at .4 miles, cascading about 15 feet down the rocks. 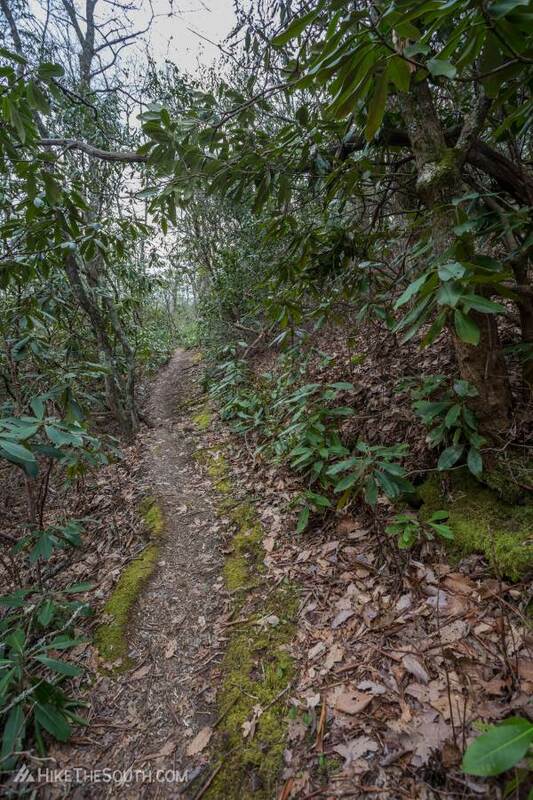 Over the first mile and a half, the trail is relatively level with a few ups and downs. 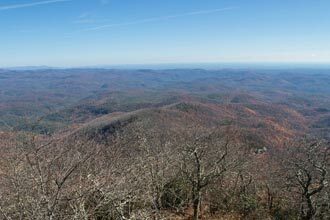 After this, the trail begins a steady ascent of between 500 and 600 ft/mile until reaching the summit of Rabun Bald. 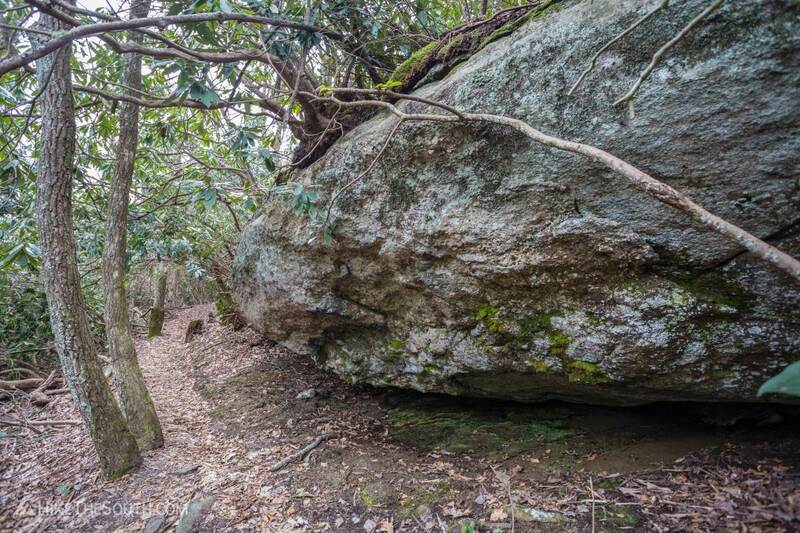 Pass a couple campsites before reaching the intersection with the Beegum Gap connector trail at 2.6 miles. 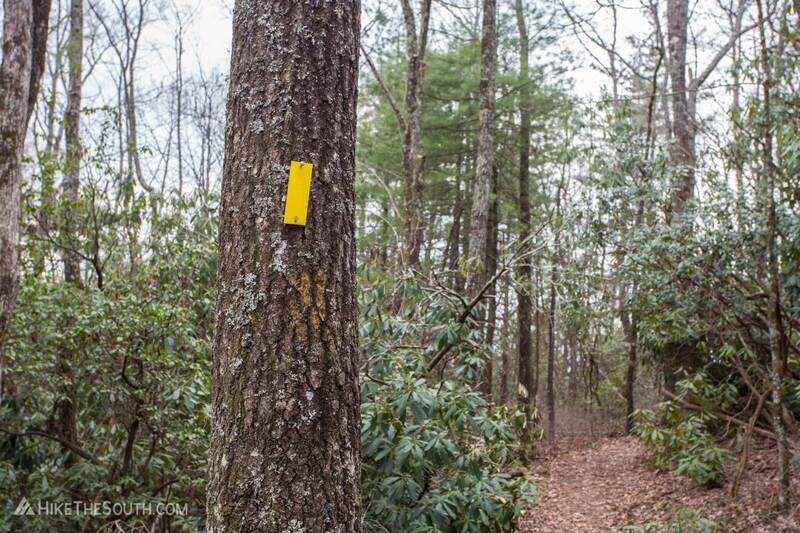 Although unmarked and unsigned, the yellow blazes will guide you to continue straight on the Bartram Trail. The trail widens and continues it's steady ascent. 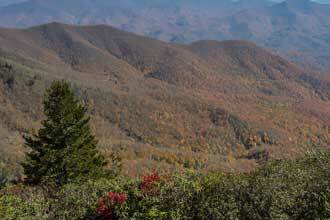 Pass a gravel road on the right at 3.3 miles, following the sign for Rabun Bald. From here, the trail picks up a little more elevation, switchbacking several times up to the ridge. The path straightens out, culminating at the intersection where the Bartram Trail turns to the right. Instead, look left. You should see the observation tower. 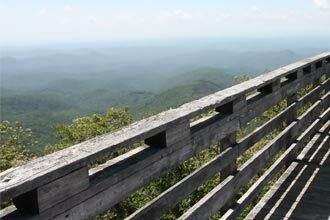 Head up the steep steps of the observation tower for 360-degree views of the surrounding mountains. 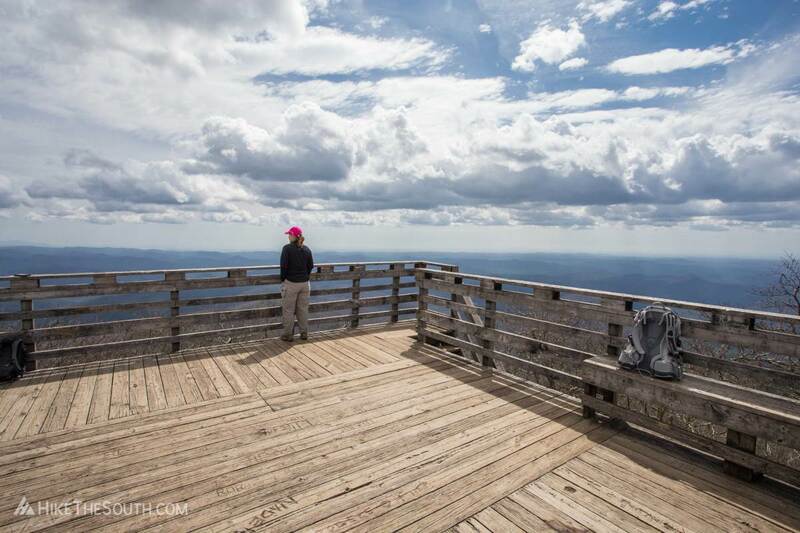 As Georgia's second highest mountain, the view is hard to beat. 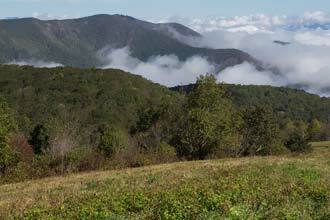 The surrounding landscape lays before you and on a clear day you can see for up to 100 miles. 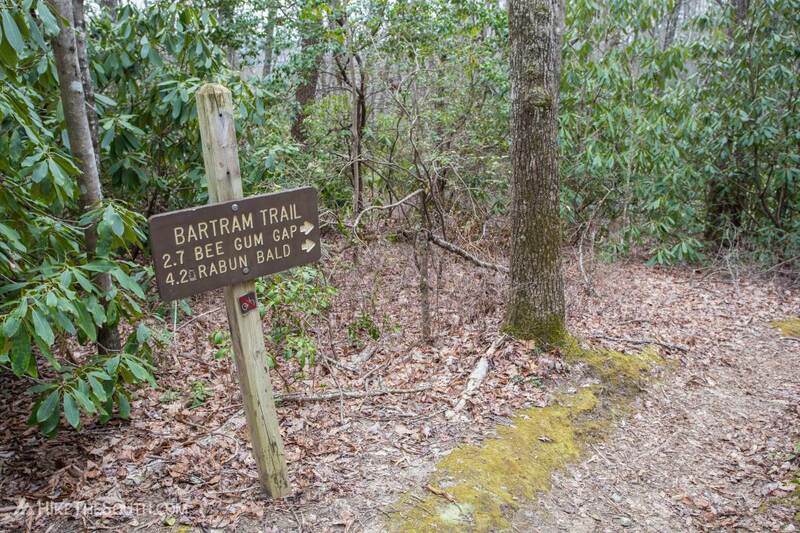 On the way back down, make sure you follow the sign at the summit for Beegum Gap and don't accidentally head down the Bartram toward Warwoman Dell. 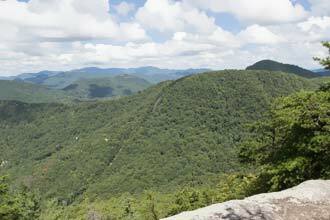 For the shorter version of this hike, check out Rabun Bald via Beegum Gap. 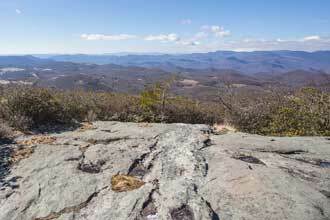 For a more difficult hike, check out the Rabun Bald Trail. 0.0 mi - Trailhead Begin the hike by heading southbound on the yellow-blazed Bartram Trail from Hale Ridge Road. 0.4 mi - Waterfall Pass a cascading waterfall on the right as you cross over a creek along a lengthy bridge. 2.6 mi - Intersection with Beegum Gap Continue straight through an unmarked and unsigned intersection with the short connector trail to the Beegum Gap trailhead. 3.3 mi - Intersection with Gravel Road Continue straight/left, following the sign for Rabun Bald. 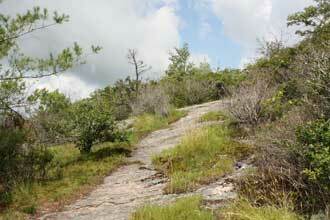 3.9 mi - Rabun Bald Summit At the summit, the Bartram Trail makes a sharp right. 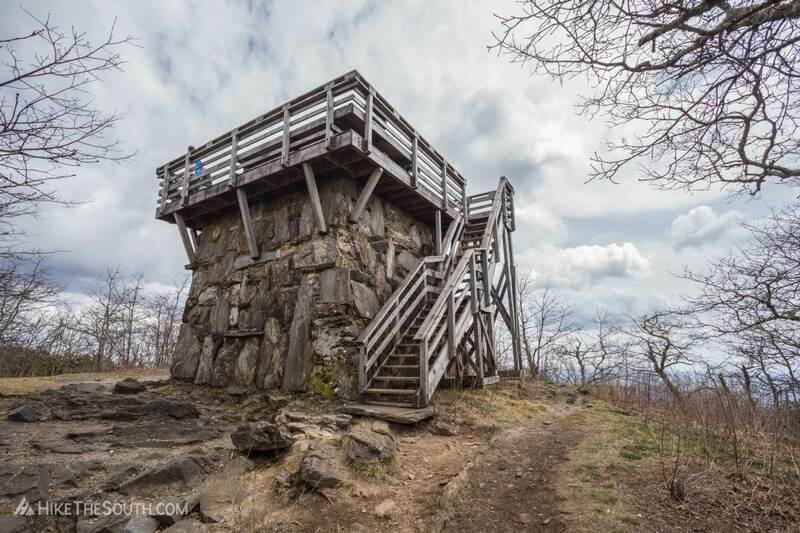 Instead, look left and you will see the observation tower at the summit. 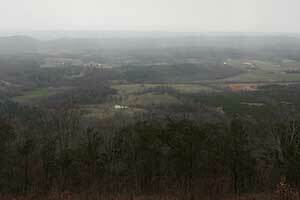 If coming from the north via NC-106/Dillard Road to Hale Ridge Road, only about half a mile is gravel road. I was able to make it find in a sedan but I image it could be worse after heavy rain. 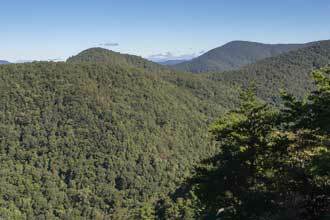 From Warwoman Road on the south side, I've done the same up to the Rabun Bald Trail about 6 miles in. 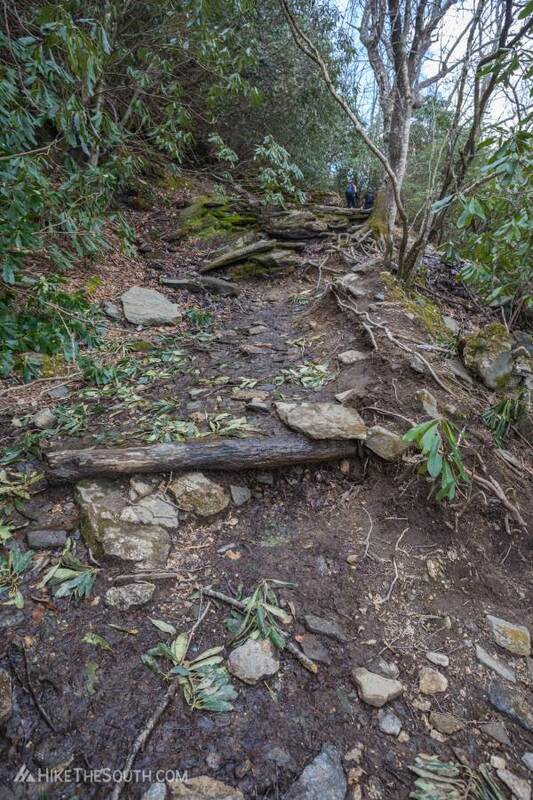 The 3.5 miles between the two trailhead may or may not be suitable for low ground clearance vehicles but if it's like the rest of the road it should be fine. 7-8 vehicles. Make sure not to block the road. 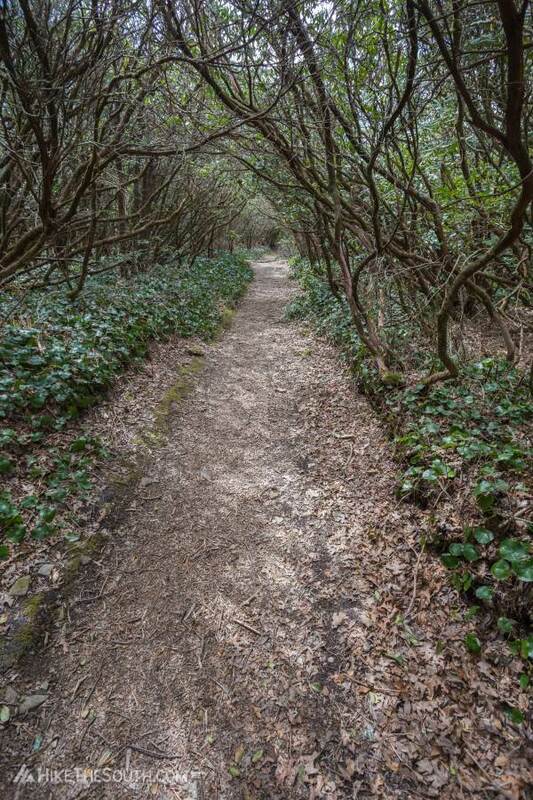 Spring 2019 - the trail was well maintained, having been cleared recently of fallen trees and brush. Several wet rocks and muddy sections even if it hasn't rained in several days. 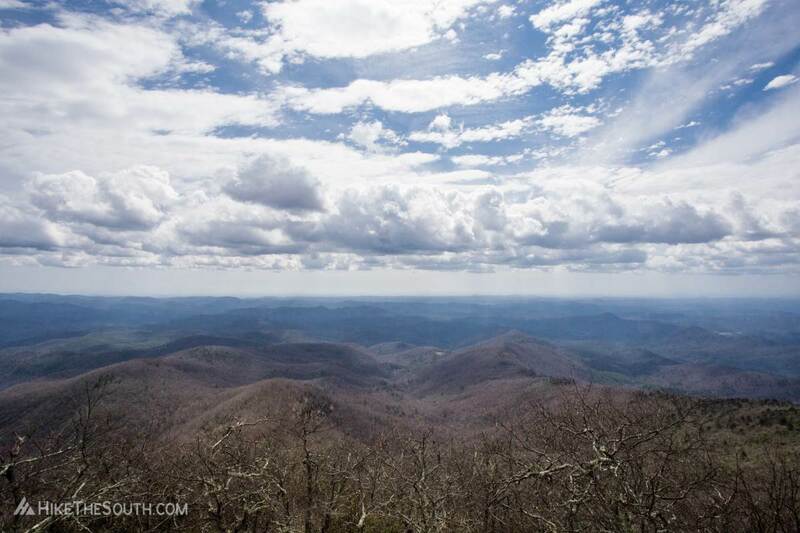 This was my 3rd hike up to Rabun Bald and each time the view gets better. 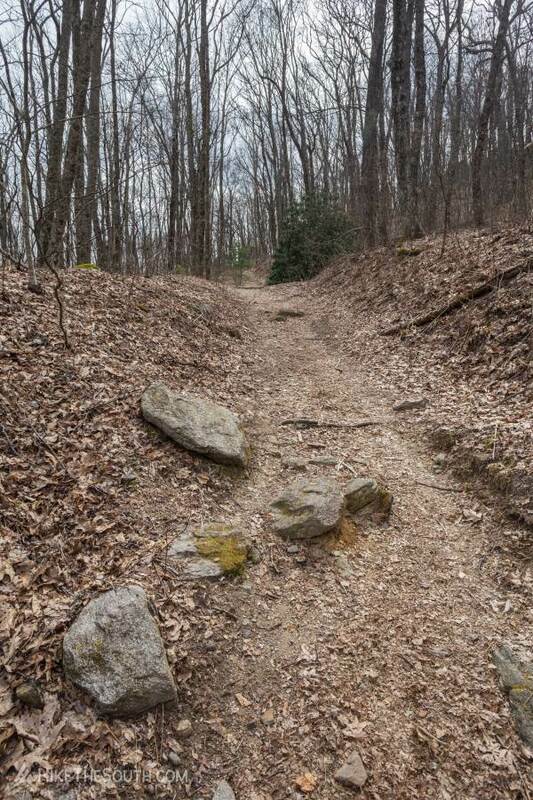 The trail was well maintained but it was cleared recently so it may not always be so. The last section shares the same route with the hike from Beegum Gap so this trail really feels like an extension of that hike if you've already been on it. The first portion crosses several creeks keeping you close to the sounds of water and making for a peaceful start and finish to this hike.